In 2009, 630 bicyclists were killed and 51,000 bicyclists were injured in collisions with motor vehicles. In fact, most of the bicycle crashes occur in urban areas where riding bicycles has become more popular for recreation and commuting purposes. Here in Georgia, Alpharetta has become a bike-friendly community. Alpharetta cyclists need to watch out for accidents. The lawyers at Kalka & Baer know that representing the victims of bike accidents caused by such roadway hazards requires a lot of knowledge. There needs to be an understanding of basic bicycle mechanics. 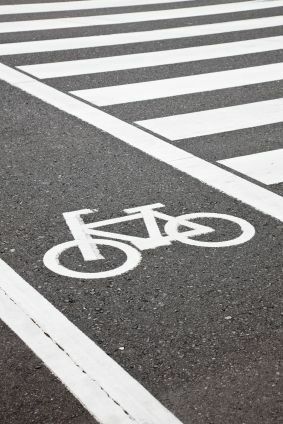 There also needs to be a deep understanding of Georgia bicycle laws, and specific to the area, Alpharetta bicycle laws. The Kalka & Baer attorneys are experts in the bicycle personal injury fieldand work hard fighting for each client’s case. An Alpharetta bike accident case might develop like this…Identify who was responsible for maintaining the roadway at issue. That could be the county or city, but private entities such as general contractors, sub­contractors, project managers, and premises owners also may be responsible. If the defect arose from an unsafe condition, perhaps from an obstacle in the roadway, allege that the potential defendant failed to maintain the area in a reasonably safe condition or warn of a hazardous condition.